Football didn’t come home, but after an 11-year absence, Fish ‘O’ Mania made a triumphant return to the beautiful Maver – Dynamite Hayfield Lakes. A homecoming that failed to disappoint the 8000 strong crowd who witnessed 21-year-old Pete Black crowned the youngest ever champion of the competition with a total weight of 51.35kg. 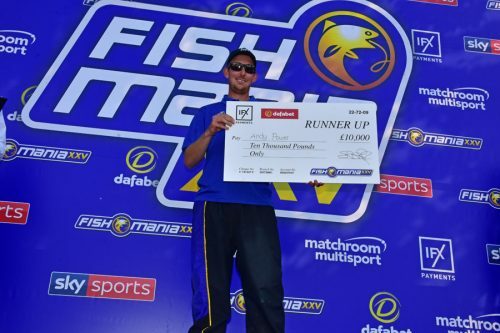 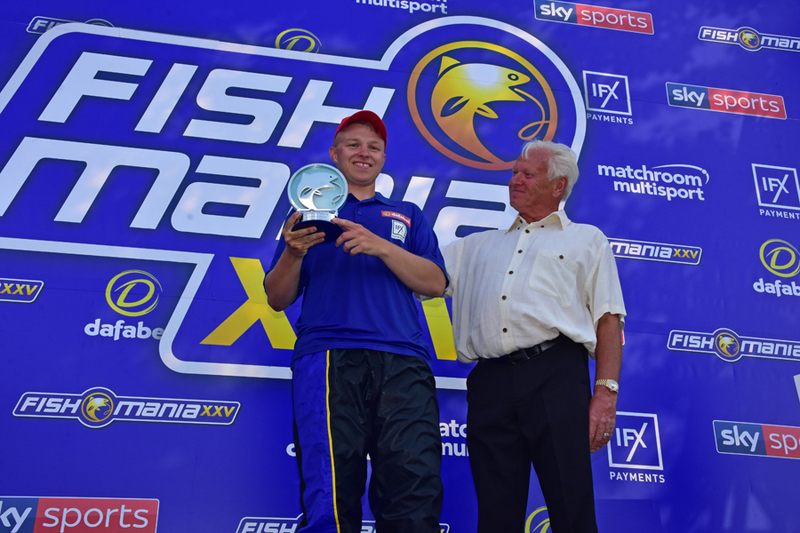 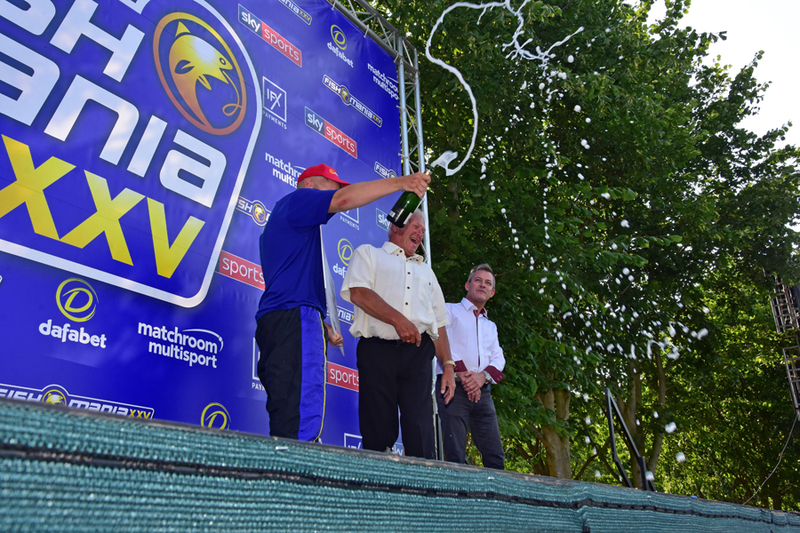 As well as making the Birmingham based angler £50k richer, he stormed to victory, landing over 12kgs ahead of his nearest rival, Andy Power. 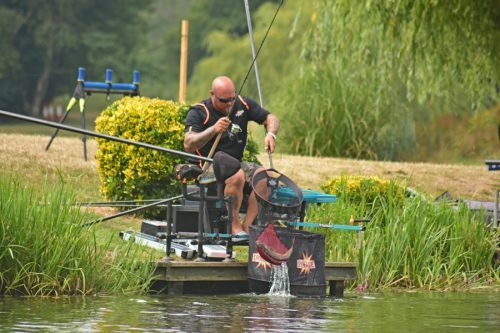 Further history was a made as Kayleigh Smith (27) successfully defended her title with 21.21kg, whilst the eight-strong Junior Championship went to 18-year-old Myles Fletcher. 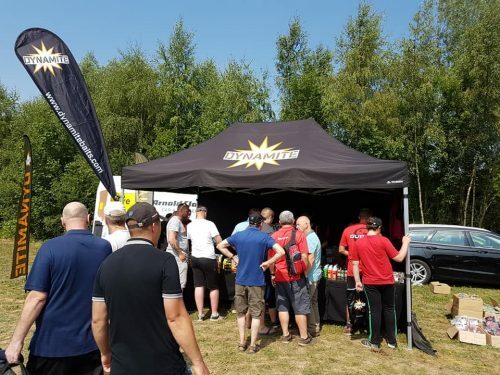 Aside from the three matches, the attending crowds were able to enjoy a good number of trade stands, tackle and angling demonstrations, side shows and fairground rides, allowing both anglers and non-anglers of all ages a fantastic day out in the stunning surroundings of Maver- Dynamite Hayfield Lakes. 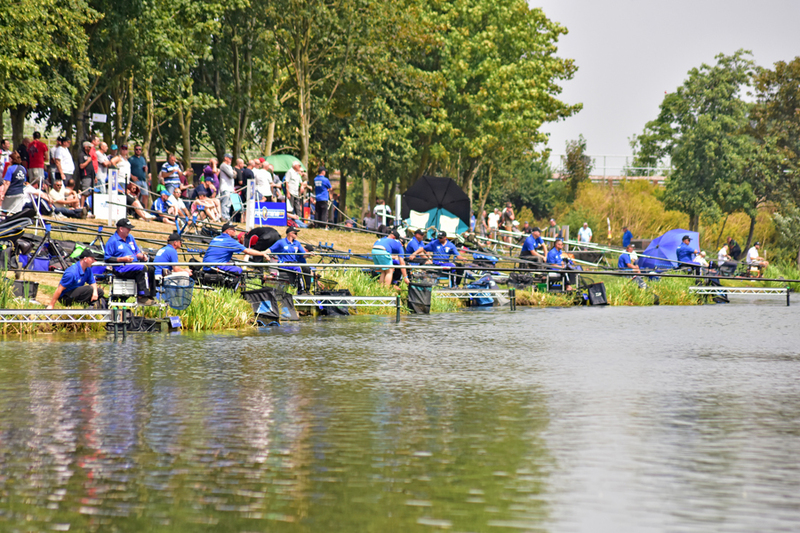 To add to the day’s enjoyment, the weather even saw fit to sunshine all day through cloudless skies. 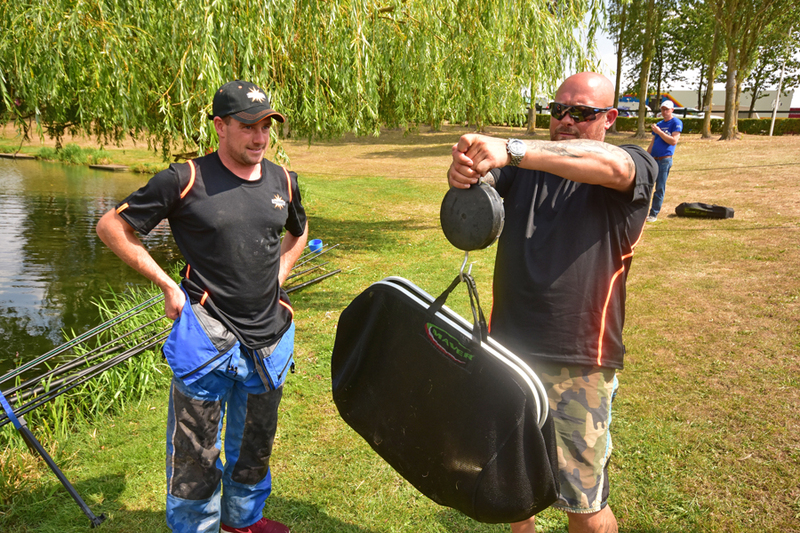 Also on hand giving live angling demos and tuition and answering peoples’ questions were England International Grant Albutt, former Fish ‘O’ mania winner Andy Geldart and top match angler and former Angling Times journalist Ben Fisk. The boys had their own ‘power hour’ mini match with Ben grabbing the bragging rights with 17lb 8oz. Along with a fun penalty kick competition for the under 12’s and numerous other competitions there was plenty for the whole family to enjoy. 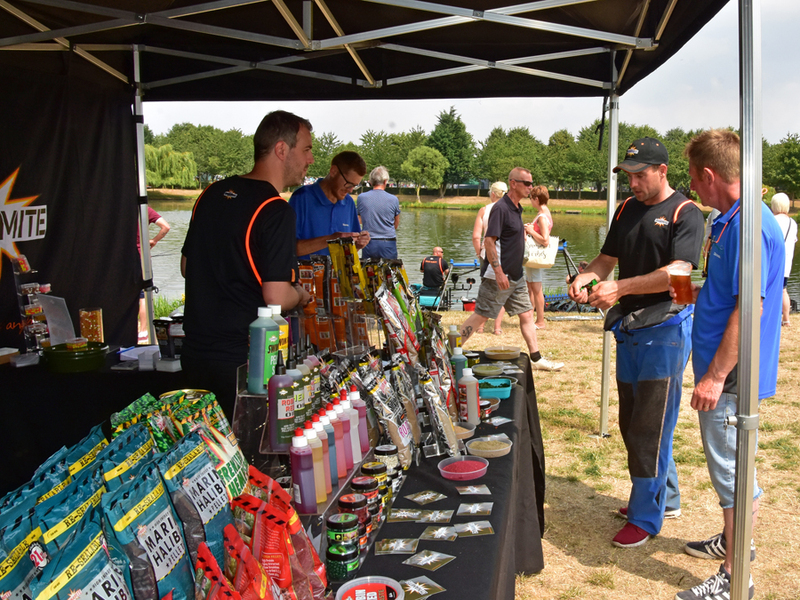 The other Dynamite marquee was in the heart of the ‘Trade Village’, where visitors could pick up some top up bait for the weekend! 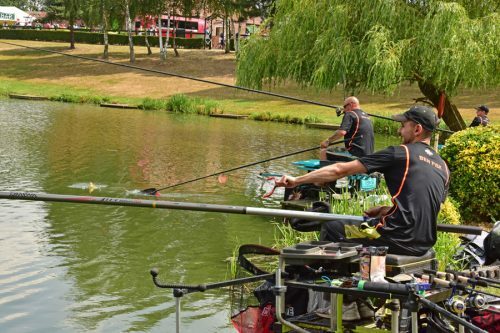 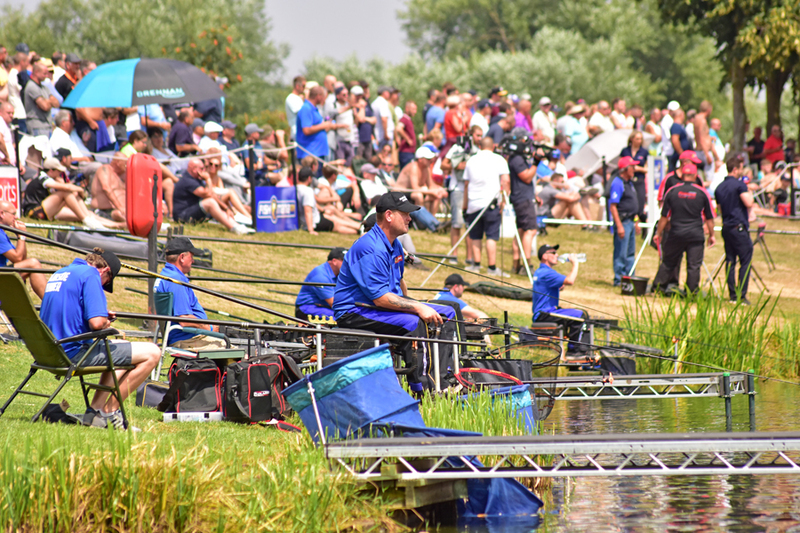 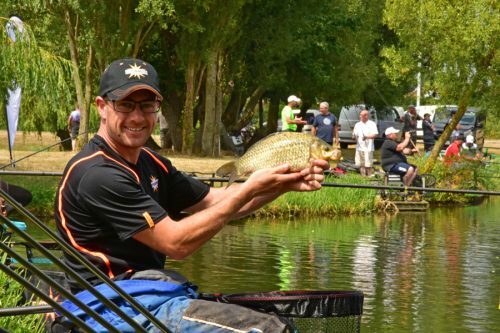 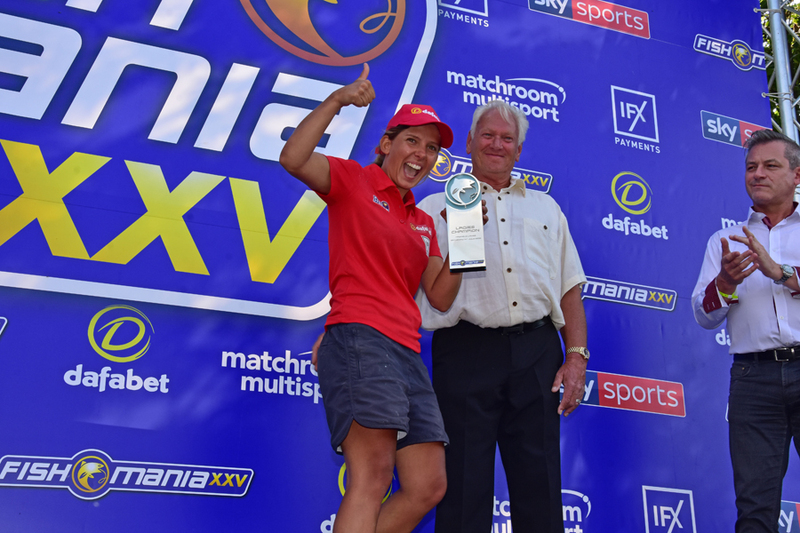 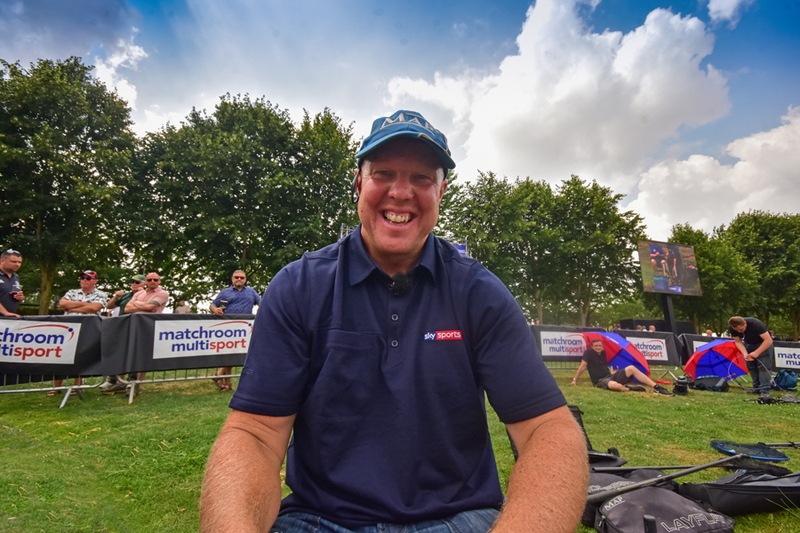 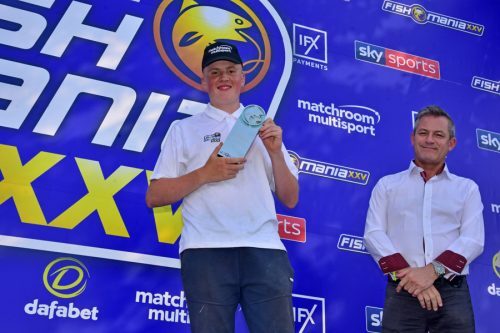 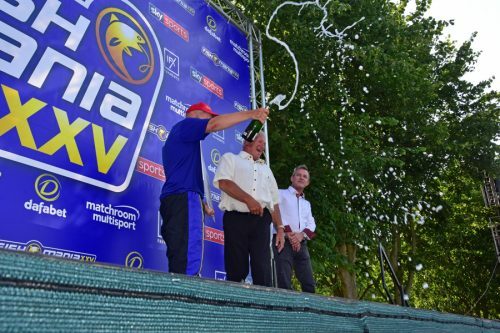 Dynamite’s Andy May was helping out Sky Sports with their match commentary as well as doing his own angling demo’s on the match water – Dannie’s Island lake. Whilst, the owner of Dynamite Hayfield Lakes, Noelie Goforth said, “It’s is such a thrill to have Fish ‘O’ back at its spiritual home. It has been such a fantastic day in gorgeous weather and I would like to extend my heartfelt thanks and gratitude to all those who competed, displayed, performed demos and attended as well as Matchroom Sport and Sky Sports for their support and event coverage. 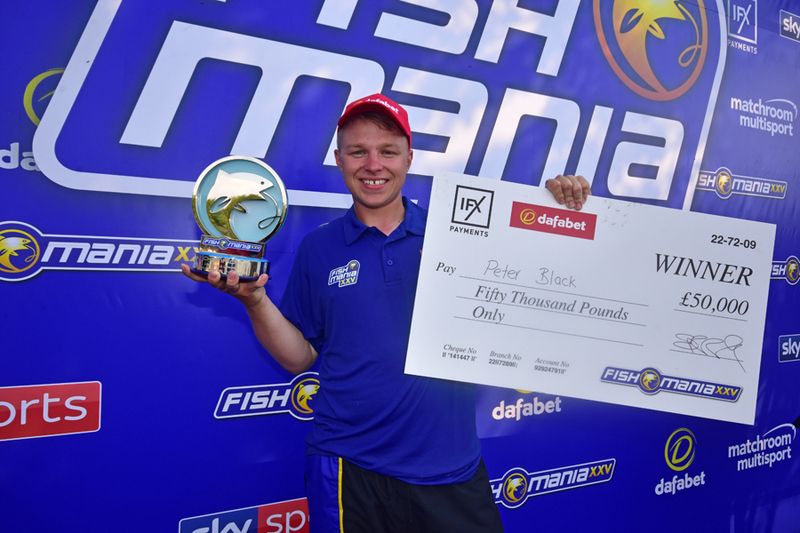 Fish ‘O’ winner Pete Black performs the traditional winner’s dip!